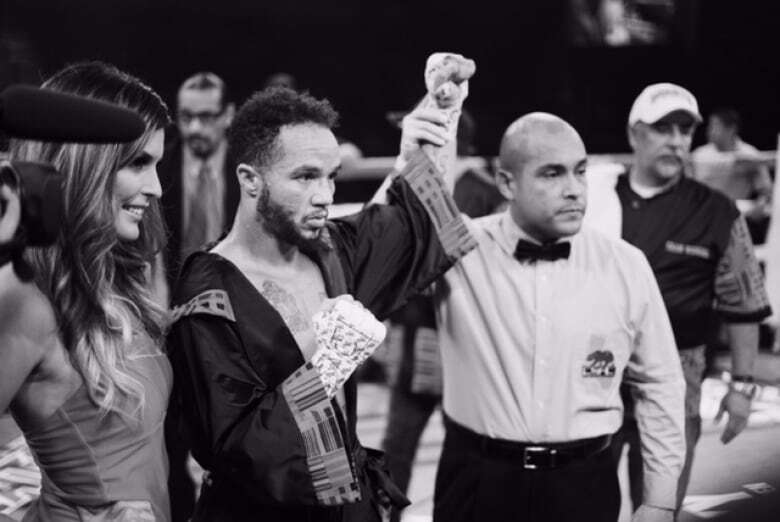 Patricio Manuel just became the first openly transgender man to compete in a professional boxing match in the United States. Professional featherweight boxer wins a bout in California in 12 minutes. Nothing about that news seems extraordinary. But when you learn more about the victor, Patricio Manuel, you see why it was history-making. 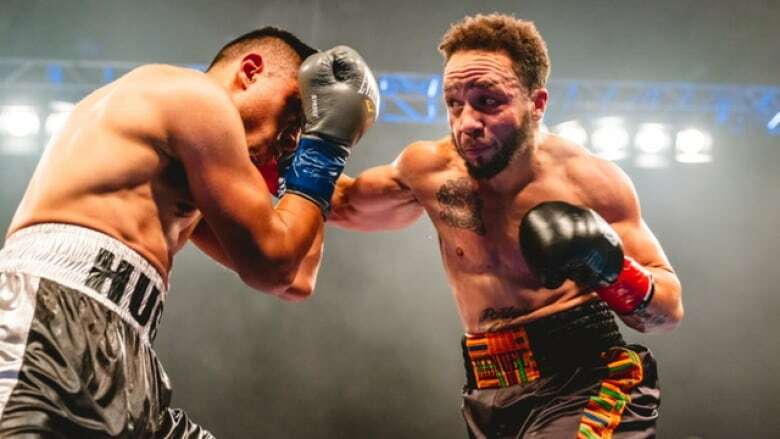 Manuel's fight earlier this month marked his debut as the first openly transgender man to compete in a professional boxing match in the United States. He was a champion amateur boxer in women's leagues before his transition and competed at the 2012 Olympics. As It Happens host Carol Off spoke to Manuel about the historic win. Patricio, can you take us back to that moment when you stepped into the ring about to make history? What was that like? I know it was now seen as such a historical event. But for me it was just another fight. I pretty much went through all the same mental drills, the same prep, that I do for all my amateur fights before. I was just really focused on my opponent and not so much around everything else in the event. It was really just me and my corner and that's the only thing I focused on. How was the crowd responding to you? I had a large cheering crowd for myself. But there were definitely people in the audience that I could hear that were booing as well. I do a lot of mental prep work of being in a hostile crowd. I've also fought internationally in other countries and dealt with hostile crowds before, so it wasn't something that I haven't experienced. What made you want to transition to be a man? I realize now that I've always been a man and it's something I didn't really give myself room to explore. It was during specifically being medically disqualified due to a shoulder injury in the 2012 Women's Olympic Boxing trials that really kind of forced me to look at myself, beyond me as an athlete and more me as a whole person. I realized there was a big part of me that still wasn't fulfilled, despite boxing, and despite where I had landed in that career. That was me really realizing that I had been struggling with gender dysphoria my entire life and that I could no longer live the lie as competing as a woman or competing in the female division. I needed to live my truth and I wanted to medically transition and continue competing but in the male division. Do you feel that when you are in the ring that your opponents treat you differently in any way? I haven't noticed my opponents treating me any different. I think that when you are entering that ring it's a competition. It's a fight. My opponents are coming out to win and they're also recognizing that I'm coming to win. So I've never felt that anyone has held back or done anything different. You are competing not just as a transgender man but also as a black man. I know that means a lot to you. What does it mean for you to compete — to step into the ring, and compete as a black man. It means a lot to me. Speaking historically, looking at the legacy of Jack Johnson, the first black heavyweight champion, and then the second one after that, Joe Louis. And then in line with politically active athletes like Muhammad Ali. It means a lot to me to not only be the first trans man but for me to be a black trans man while doing that. This sport has been a place where black men have been seen as human. When Joe Louis beat Max Schmeling during the height of World War II they said he was, "a credit to his race — the human race." That was really one of the times, in terms of history, we can remember black men or black people as being seen as part of the human race. For me to go in that ring and be seen as a man it really just gives me a lot of pride as someone that comes from that lineage of struggle and overcoming oppression to be recognized. Written by Ashley Mak and John McGill. Interview produced by Ashley Mak. Q&A has been edited for length and clarity.